The bombing and the blockade of the country have also caused an enormous humanitarian crisis. UNICEF has warned that almost the entire population of Yemen - around 22 million people - are in urgent need of humanitarian assistance, especially as they lack medical care, adequate nutrition, uncontaminated drinking water and sanitation. The Saudi regime is one of the worst human rights' abusers: tyrannical towards its own population and towards its weaker neighbours. It tortures and arbitrarily detains thousands of people at home and has also supported repression in Bahrain, imposed a blockade on Qatar, and detained the Lebanese Prime Minister. Join us at Downing Street to tell May and bin Salman that he is not welcome in London! Join us to demand that Britain stops supporting the Saudi dictatorship and its war in Yemen. Want to take action in the meantime? Sign the petition against his visit here. The agony of the Syrian people goes on as the siege and bombing of Eastern Ghouta by Assad continues and the Turkish state steps up its attack on the Kurds in Afrin province. These attacks are creating mass casualties. They also increase the risk of a regional escalation. There is an urgent need for a ceasefire and the redoubling of efforts to achieve a peaceful resolution of this terrible set of conflicts. As part of our nation-wide tour of public meetings to oppose the 'Special Relationship' and to demand an anti-war government, in the last week and a half we've had large meetings in London, Birmingham and Manchester. Other forthcoming tour stops include: Birmingham, Bournemouth, Brighton, Edinburgh, Faringdon, Leeds, Milton Keynes, Sheffield& Wakefield. We are still adding further meetings across the country so if you'd like to organise a meeting in your area don't hesitate to email us at office@stopwar.org.uk. All proceeds raised will go directly to Stop the War. Eleazer Mawasha speaks haltingly. English is not his first language, and Skype not his preferred method of communication. An elder of Guyana's Wai-Wai people, Mr Mawasha is more familiar with the sounds and rhythms of the rainforest with which its indigenous inhabitants have enjoyed a profound spiritual relationship for thousands of years. 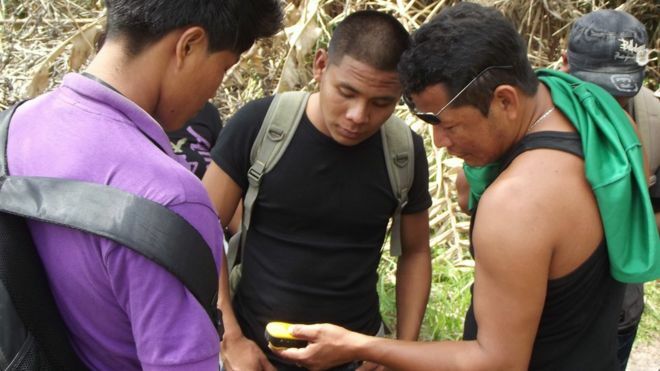 Using the chat app during a trip to Georgetown is not the only foray into modern technology for members of the South American nation's smallest tribe. Amerindians have been scrupulous caretakers of the environment for millennia and, as the rest of the world evolves, so too have their practices for monitoring and protecting natural resources. A court just made 'legal history' by ruling for a third time the government is acting unlawfully | The Canary A court just made ‘legal history’ by ruling for a third time the government is acting unlawfully FEBRUARY 22ND, 2018 Steve Topple STEVE TOPPLE ANALYSIS, DISCOVERY, ENVIRONMENT Spread the word: Facebook Twitter A court just made ‘legal history’ by ruling for a third time the government is acting unlawfullyANALYSIS The UK government’s actions have been declared unlawful by a judge, for the third time on the same issue. And what’s more, the judge has ensured that the government can be brought back to court as many times as needed until it starts acting within the law; making “legal history” according to the group that brought the case. Air pollution is directly linked to around 40,000 early deaths every year. Despite this, the government has repeatedly been allowing air pollution levels to breach legal EU limits. But this has not gone unnoticed, as legal campaign group ClientEarth has been using the law in an attempt to force the government to act. And so far it, not the government, is winning. 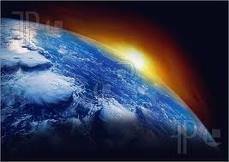 Making ‘legal history’ In its latest case, ClientEarth accused the government of acting illegally. This was because the government’s plans for 45 local authorities which have been breaching air pollution limits were not sufficient. And the judge in the case, Mr Justice Garnham, agreed. He said [paywall] that the government’s plans were “not sufficient” and “seriously flawed”. The transport secretary, Chris Grayling, has been granted an injunction banning campaigners opposed to the construction of the HS2 line on an area of ancient woodland in west London from “unlawful protest” on the site. The government, along with HS2, sought the injunction to stop eight protesters’ demonstrating on the site in Colne Valley, Hillingdon. However, they admit the project is controversial and acknowledge that many groups and individuals have concerns about various aspects of HS2, including cost and environmental impact. Regular protests against the impact of the rail line on trees and wildlife have been staged since last October. Grayling and HS2 accuse the protesters of trespass and obstruction of access to the site, and say they have attached themselves to trees and machinery in a bid to disrupt work. The high court was told on Monday there had been 31 different incidents involving protesters since last October. The protesters say they are trying to save up to 100 acres of ancient woodlands – an area of natural beauty that can never be replaced – and 2,400 different species of flora and fauna. HS2 says it is creating an ecology habitat (pdf) on the site. The judge, Mr Justice Barling, praised the protesters as “committed environmentalists”. “Their motives are entirely laudable,” he said. Nonetheless, he granted the injunction. Looks like the old One World Rainbow Centre has had a bit of a makeover,and now the rival churches are at it.When we had it (squatted) the place was open all hours to all comers 24/7/365.With many and Event,workshop project and party. Don't miss out! BOOK today and at the same time you will be supporting a East London Food Bank. 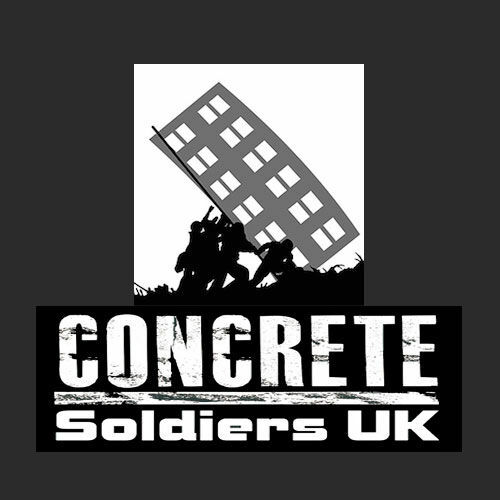 Concrete Soldiers UK’ is a new documentary film by Nikita Woolfe, looking at an under-reported scandal in London and across the country — the social cleansing of council estates. Starved of funds by central government, councils and housing associations are entering into deals with private developers in which, instead of renovating estates, they are being demolished and rebuilt. The developers make huge profits, but existing tenants, and leaseholders are squeezed out, socially cleansed from their homes, and often from the boroughs in which they have lived for years, for decades, or for their whole lives.